Before you can get real life training from the likes of Gibbs you’ve got to excel through the Naval training academy. Show you’ve earned your chops with the NCIS Training Academy Hoodie. The soft hoodie features NCIS along the top with Training academy below it. With FLETC showing you trained Federal Law Enforcement Training Center in Glynco, Georgia. NCIS Training Academy Mug 11oz. my boyfriend’s birthday is right after new years. i ordered this at the last minute before new year’s eve &amp; even with the holiday in the middle of processing &amp; shipping it got here on the day of his birthday, a few days after new years/when i ordered it. and he absolutely loves it! i got it for him because he has marathoned all the seasons of NCIS the last couple of months &amp; fell in love with it. i also come from a navy family, so i was pleased he enjoyed the show. he especially loved that the hoodie has the actual training academy location on it. i was more than happy with CBS getting this to me on time. i’m glad y’all sell it &amp; that he loves it. 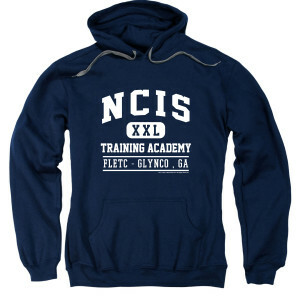 Recently purchase NCIS training academy hoodie for my girlfriend for Christmas. Nice gift because it combines her favorite TV show with her love for hoodies. Cannot wait to see her smile on Christmas morning and the pictures that she will post showing all her friends her new favorite hoodie. 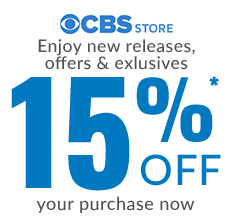 Thanks CBS.